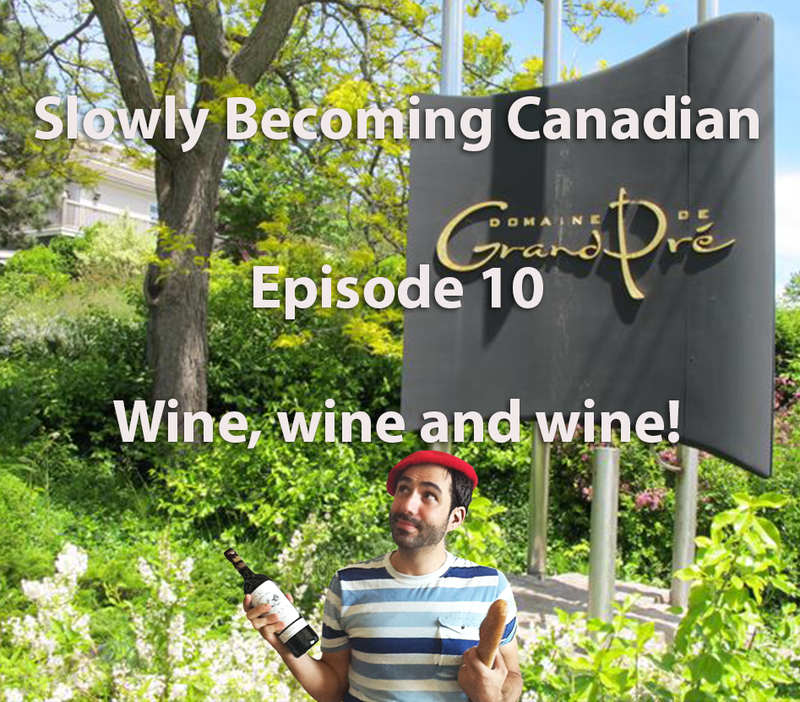 Slowly Becoming Canadian – Episode 10 – Wine, wine and wine! Wine enthusiast, Ericka Wicks, and I go to a Nova Scotia vineyard, Domaine de Grand Pré, to talk about and taste Canadian wine. Is wine that was not produced in France even a thing? Is it ok to drink wine that comes in a box? What should you eat next time you’re having wine? Can we sample three different wines and not get a little buzzed? Listen to this episode and find out! Believe it or not, this is not how I dress everyday. Actually, I never dress like that and I can assure you almost nobody in France wears a béret anymore. Nor do people eat croissants every morning, or walk around in designers clothes, and shower with Chanel N°5. I know, this is very disappointing. Some clichés about French people are true though. If you visit France for a couple weeks, chances are you will encounter a demonstration or won’t be able to take the train because people are on strike. A lot of people do have five weeks of holiday per year – but you need those day-offs to recover from all those strikes. And if you are ever in need of a lighter just ask anybody around you as one in three French people smokes. Which might explain why we tend to be grumpy. I often refer to clichés about Canada and Canadian people when I write this blog, so to balance the scale, respond to this poll, share this post so many people do it too and let’s see what people think about people from France. 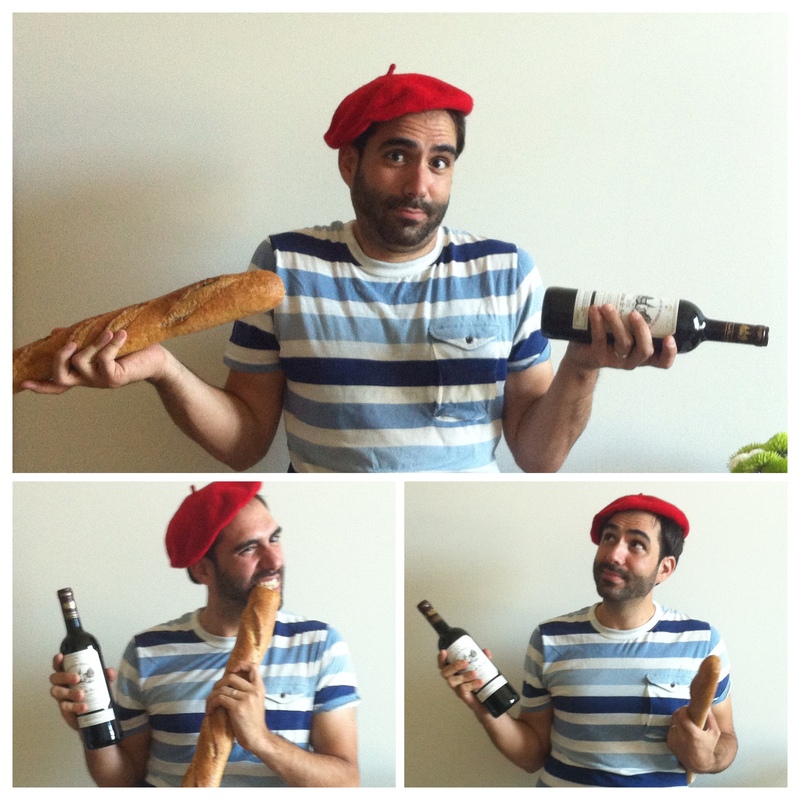 I will write a description of a typical French person according to the comments. And maybe try to defend my fellow citizens a little. Do you speak Nova Scotian? Have a look at these expressions. If, like me, Nova Scotian is not your mother tongue, take notes. 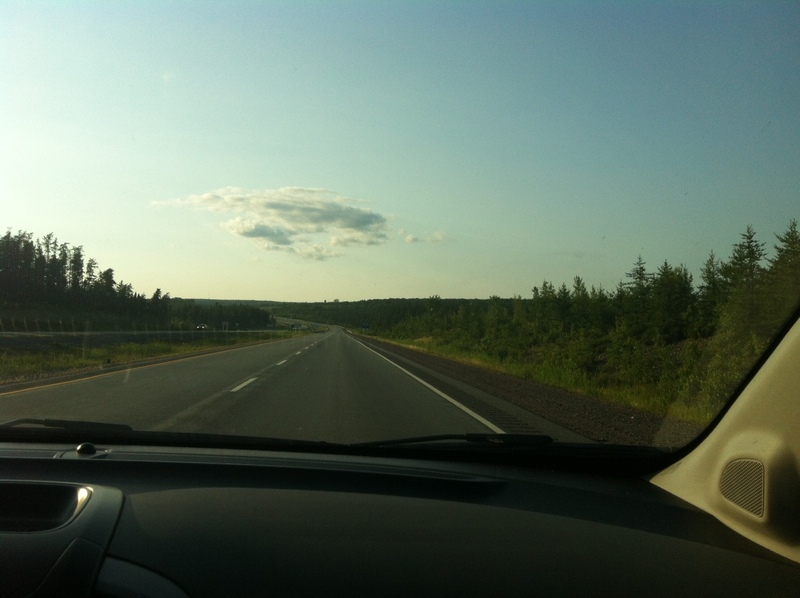 What you think: Traffic on the highway WAS crazy, cars were bumper to bumper and it took 45 minutes to drive 10km. What you think: What do they mean by “the liquor store”? Just go to the supermarket or the corner store! And you know you can get 26 beer for 12 euros ($18), right? What you think: They are going to visit a place that just looks like a giant forest. They are probably going to stay in a beautiful giant house on a beach and watch the sunset over the ocean, at least that is what you have seen in movies. You are also a little worried for them: you suspect that the whole state is haunted and that everybody there is crazy because you read a lot of Stephen King novels. What you think: It’s sunny and at least 25 degrees and not a single cloud in the sky. It’s such a perfect summer day to put some shorts and sunglasses on, go for a swim and enjoy a drink or an ice cream on a patio! 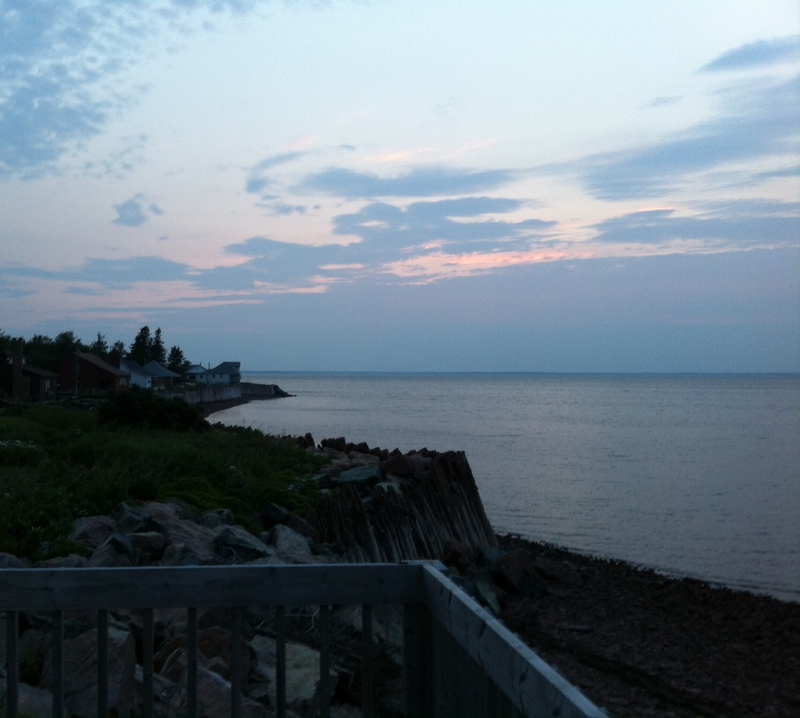 What Nova Scotians mean: The sky is not that grey, it’s 10 degrees and it hasn’t rained for four hours. It’s such a perfect summer day to put some shorts and sunglasses on, go for a swim and enjoy a drink or an ice-cream on a patio! What you think: You really, really have no idea what they are saying. This person must be drunk because they are seriously sluring some words. What Nova Scotians mean: You’re refering to lovely places in your favorite province and you don’t know why this Come From Away is looking so confused. You even made an effort to say the entire name, usually you just say Tata, the Nish or Shubie. Some of these (OK, all of these) are a little cliché and I’ve never completely misunderstood someone who used them. They are just part of the little cultural differences that make me love Nova Scotia even more. Oh, and if you knew that there is no Tim Horton’s at Exit 9 between Halifax and Truro, you definitely are a true Nova Scotian. If you speak Nova Scotian you might be able to help me with this: Who’s Buddy and why does everybody know him? Ok, you speak Nova Scotian, but do you know Nova Scotia better than a Come From Away? Take this quiz and find out. Today is July 14th, France’s National Day which you might know as Bastille Day. However if you mention Bastille Day to someone from France who has never been to North America they might take a while to understand what you are talking about. Yes, we do celebrate the taking of La Bastille but we actually just call it “le 14 juillet”. Anyway, I might be Slowly Becoming Canadian but I am still French so every year I try to make a French dinner. This year I decided to go with a typical French “aperitif”, and now I might have to re-mortgage the houes I don’t have yet. Total : $59.02. Add taxes and you are above $65 for a meal that would probably cost €20 in France. I love you Canada but you make it very expensive for me to keep my ”frenchness”. Aujourd’hui, c’est le 14 juillet ou « Bastille Day » comme les nord-américains l’appellent. Chaque année j’essaye d’expliquer qu’en France personne n’appelle le 14 juillet « Jour de la Bastille » et chaque année une ou deux personnes m’expliquent que je me trompe et sont persuadées que je ne suis pas un bon français. Bref, je deviens peut-être doucement canadien mais je suis toujours français et donc je fais toujours un dîner typiquement français pour l’occasion. Cette année j’ai décidé de faire un apéro et maintenant je vais peut-être devoir hypothéquer la maison que je n’ai pas encore. Total : 59.02$. 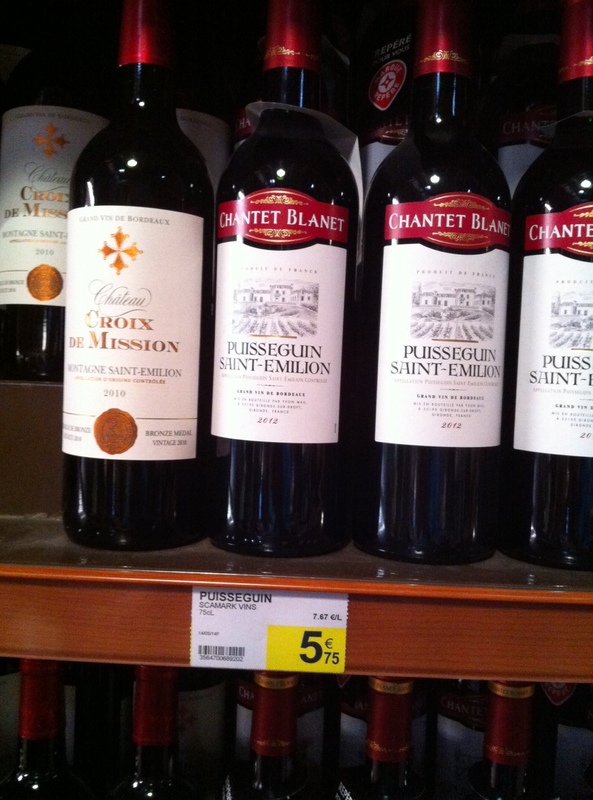 On ajoute les taxes et on arrive à plus de 65$ pour un apéro qui aurait probablement coûté 20€ en France. Canada, je t’aime mais je veux garder mon côté français et tu ne me rends pas la tâche facile.